A colorful rectangular pillow! Don't you just want to hug it? 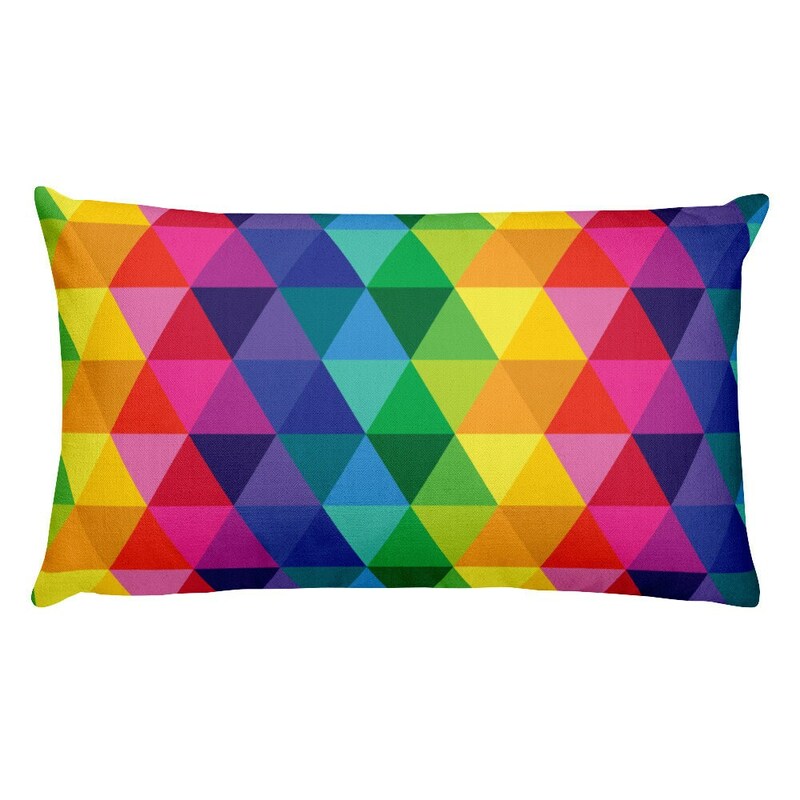 The multi-colored triangles will match any color in your room. Is your friend, family member or coworker in need of some color in their life? Do they like cool throw pillows? This rad pillow is the PERFECT gift for them. Or just buy the pillow for yourself, you deserve it.